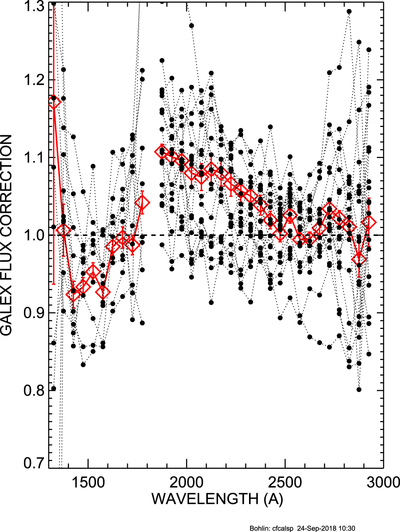 Average multiplicative correction of GALEX fluxes from comparisons to IUE SEDs. The black data points connected by dotted lines are the results from the 10 matched stars in the FUV and 18 stars in the NUV, while the red diamonds connected by solid lines are the weighted average correction. 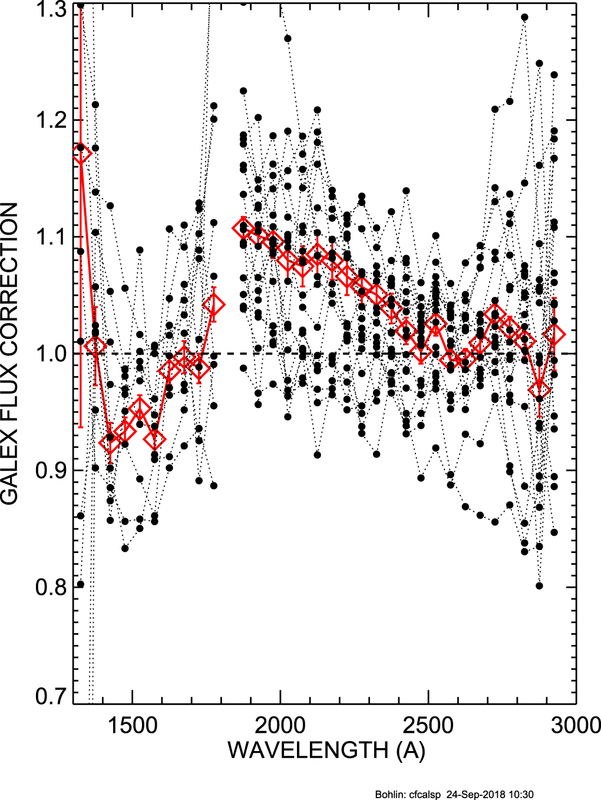 Error bars reflect the combination in quadrature of the GALEX and IUE statistical uncertainties.